J.League Pro Soccer Club wo Tsukurou! J.League Pro Soccer Club wo Tsukurou! 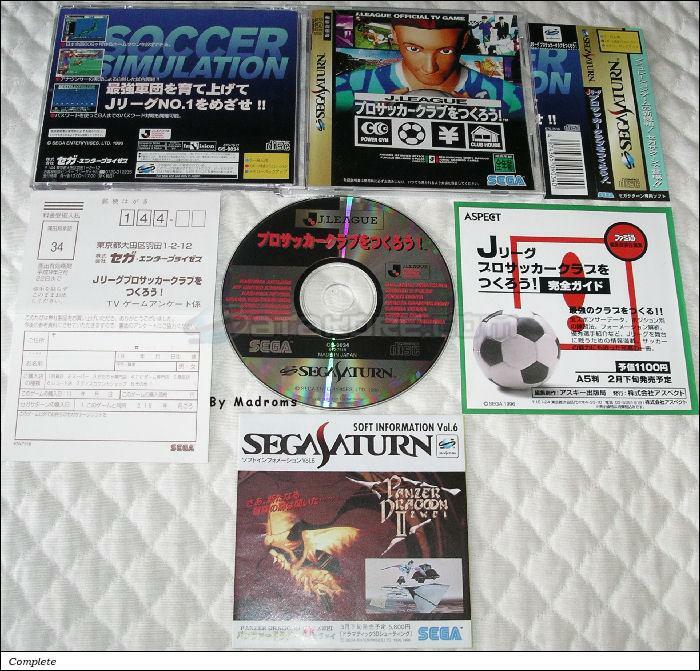 (Ｊリーグ　プロサッカークラブをつくろう！) is a Simulation - Soccer game, developed by Team Vega / Sega Enterprises, Ltd. and published by Sega Enterprises, Ltd., which was released in Japan in 1996 for the Sega Saturn. Revised Hepburn (Hebon-shiki): J.League Pro Soccer Club o Tsukurō! Nippon-shiki: J.League Pro Soccer Club wo Tukurô! Kunrei-shiki: J.League Pro Soccer Club o Tukurô! Team Vega / Sega Enterprises, Ltd.